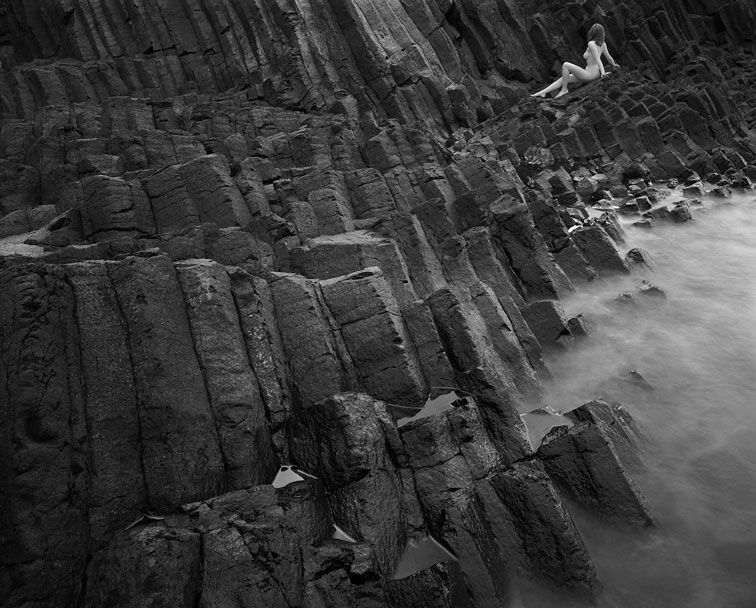 Blacklock specialises in Lake Superior landscape photography, and one of his seventeen books published to date is titled “A Voice Within – The Lake Superior Nudes”. Comprising a myriad monochrome images, his subjects are depicted in stunningly majestic natural settings throughout, including waterfront, ice walls, forest, shoreline and rock formations. In some of the most striking images, soft white female skin contrasts sharply with the dark ruggedness of unforgiving rock. Blacklock has taught photography workshops since 1982, providing guidance in capture, editing and printing. Working for over 30 years in large format photography, he continues to apply his skills today using digital images. Features have included photography magazines such as American Photo, Fine Art Photo and Outdoor Photographer.